After a quiet 2015, enforced after an engine failure at Brands hatch we’ve put together an interesting calendar for 2016. It includes races from the Dunlop TVR championship on slicks and Bernies V8’s running on treaded tyres so that should be interesting. W’re also away running cars at Le Mans Classic and the Spa Classic so we have a busy year ahead. Im not quite sure how it happened but we seem to have acquired a Single seat race car. 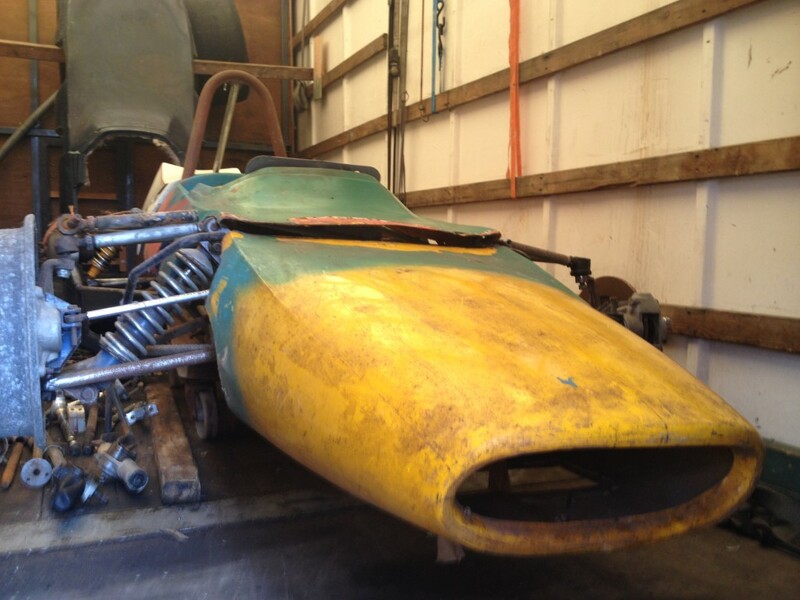 a 1967 Vixen Vb4 is now sitting in the truck looking a bit sorry for its self. The Plan is to restore the car back to original spec with its 998 Imp engine and race it with the HSCC in the Classic Racing Car Championship. A long way to go, especially as the Tuscan needs its engine rebuilding. The Tasmin needs the Ecu and wiring loom making and the sagaris needs almost everything..
After a successful test/race at Silverstone a couple of weeks earlier we went to Rockingham with a fair degree of confidence, the car was running well, and the driver reasonably dialed in. We arrived at the circuit on the Friday night and unloaded and set up the pit garage ready for the Saturday Morning. For some reason Rockingham never seems to be the best organised meeting and this proved no exception, with the noise tests causing chaos with cars being directed from all angles and seemingly taking forever. but we eventually all made it into the holding area, with the exception of one Speed 6 engined car that failed the test and had a mad scramble to sort something out to get out later. Whilst waiting in the queue to get in the holding area I didn’t think the engine was idling quite right, it sounded as if it had a slight manifold blow, but nothing was obvious and it seemed to clear with more revs. When the circuit opened and we all headed out I ended up as one of the last cars out on to the circuit, so after a slow lap trying to get past traffic I aborted a lap and did a slow run through the pit lane to make some space on the circuit. This worked perfectly with not a car in sight when I left the pit lane and powered onto the circuit, to do a hard lap and get the tyres back up to temp. As I came into Piff Paff there was a car qualifying out of session perched up on the high kerbs so the yellow flags compromised that lap, and halfway around the next lap the red flag came out so they could remove him. Not a great start as we hadn’t even managed a flying lap yet ! Still this time I lined up on the front of the Pit lane first out onto the circuit, so when the lights went green I headed out on to the circuit first. I managed the out lap and one clear lap before another car going off into the gravel brought out a final red flag and ended the session. Somehow in that one lap I’d managed to put the Tuscan on Class B pole by almost a second and 7th on the overall grid. not too shaby given the state of last years tyres still on the car. I still wasn’t quite happy with the engine, and it had been spitting back a little on the overrun, so the team pulled the spark plugs and did a compression test. The results made un happy reading. number 4 cylinder had a spark plug showing signs of running lean and was well down on compression. Whilst the engine was running the risks of a major failure were too high and we had to withdraw the car there and then. Not the result we were looking for first round and 2 dns ( did not start) results with zero point on the board. with the competitiveness of the series that leaves us trailing by 44 points with no chance of making them up even if we were to win all the remaining rounds. especially as we cant make one round due to work commitments. Still that does release us to do other races outside the championship if something looks good. The plan now is to strip the engine to find the problem and depending on how major we will either get the Tuscan back out or concentrate on the Tasmin for the rest of the season. 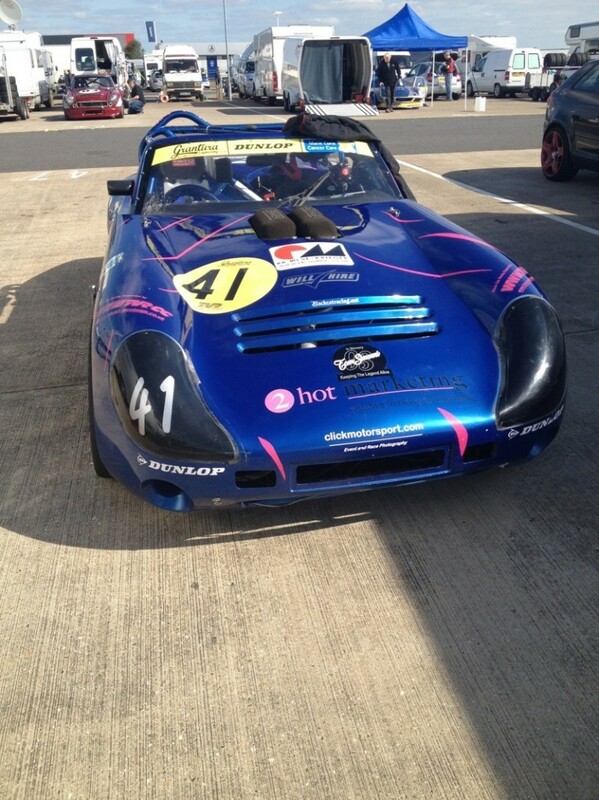 The 750 club had a 75km race at Silverstone 2 weeks before the First TVR race of 2014. We thought this would be a good opportunity to test the car. We qualified Â 3rd on the grid behind a very special 5.3ltr MGB and a 600bhp Cobra. A flying start would see us first into Copse, unfortunately a spin at Becketts would see us last by half a lap as we crossed the line for the first time. An epic fight through the pack would see us back up to 2nd and first in class by the end of the race. So quite a pleaseing day and the car ran perfectly. Just a quick one. Everyone else seemed to be testing on the Friday so I was a bit concerned that might cost us in qualifying as I haven’t been to Oulton for at least 2 years, other than 4 laps in testing earlier in the year when the gearbox died !!!! I did get a few laps then In Mike Hamilton’s Chimaera racer though, helping him set it up. I needn’t have worried though as I stuck the car on class pole just ahead of Dave Chant, right in the mix with the A class cars. The car however was a bit fiesty unstable under braking and very lively over the bumps. To solve this we took a bit of compression damping off the front and added some rebound damping to the rear. This seemed to do the trick with the car much more stable in the races. In race one off the line a got boxed up against the pit wall by Keith and Darren in their A-class cars, and a whack across my bonnet for good measure allowing Dave to get ahead. a lap or so later things settled down to dave in front with me following right up his chuff. At this point I was happy enough to sit behind him, and wait for an opportunity. This came a lap later. Dave went into Cascades a little too deep, allowing me to use the banking on the inside of the corner to get up his inside, and then squeeze him a little towards the exit kerb, leaving him a cars width but no more. I pulled ahead on the exit and then pushed hard to get a gap before backing off to maintain it. race 1 and a win and fastest lap in the bag. Race 2 was more straight forward, I got a clean start and pulled away from the Other class B cars getting some A cars between us and stayed there to the flag for a second win and fastest lap. A good weekend at Oulton Job Done. I’ve spent a lot of time at race tracks over the last few years, but mainly running cars rather than racing them. So it was nice to actually be headed to Silverstone with my own car on Friday lunchtime ready for the first meeting of the 2013 Dunlop European TVR Challenge. The weekend had an odd timetable with a Qualifying session late on Saturday and the first race not until Sunday lunchtime followed by the last race of the day finishing at 6pm so it was going to be a long day, Although it turned out the be a real blessing for us. I’d hoped to try and blag a single test session in the afternoon to make up for the 7 laps I managed testing at Oulton before the gearbox cried enough but a job at work meant we didn’t actually get to Silverstone till 5pm. So we just unloaded and drove the car round to the Pit Garage that was to be home for the next few days. Once Parked in the garage we noticed an ominous puddle of oil collecting below the car, so it was quickly in the air to trace the problem, fingers crossed it was just a loose pipe. Unfortunately it quickly became obvious that it was a serious leak from the oil pump. At 6.30 on a Friday night this was looking like it could be game over before it had started! I gambled on a phone call to John Eales in Leicester and talked him into looking at the pump on Saturday morning. With the oil pump removed we settled down for the night over a beer or two. The following morning Dave Chant gave me a lift up to Leicester to get the pump sorted ( I cant imagine Hamilton helping Alonso in the same way!) and for the princely sum of 30 quid and a new oil seal we were on our way back. It looks like the pump which had just come back from a very expensive rebuild at the manufactures had been fitted with the wrong seal!. Once back in the paddock by lunchtime the car was back together and tested, Phew.. The weather was typical British weather, sun, rain, hail, sun, rain, wind, sun making tyre choice a real quandary. Surprisingly I had some brand new slicks to play with. Well I say brand new Will-hire ltd had bought me a set, but I also had some new old stock for the rear I wanted to use first. These turned out to be 13 years old and hard as nails. Not really what I wanted as the qualifying session went from a damp but drying track to a downpour complete with hail as we started the session. I just about managed 3 laps and 2 spins before pitting to change to wets. A round of applause to Dad and Dominic Mooney for a quick tyre change.. 6 mins to change 4 wheels and tyres using nothing more than a trolly jack and one wheel gun is good going. I headed out straight into traffic and every time I slowed to make some space so did they. With time running out I managed to fall back enough to get one lap in. Dave Chant had sussed what I was doing and as I pressed on so did he only a slight error in to maggots saw him spin out and I came home with a surprising class B pole and 12th overall from the grid of 24. Not a bad days work considering I’ve hardly been in the car for the last 2 years. Qualifying over the car was quickly back in the air for a spanner check with an eagle eye on the oil pump (thankfully no more leaks). We were then quickly in to the more serious business of beer, bbq, computer driving and taking the mikey out of fellow drivers and team members. a good night was had by all. The Sunday was an odd day again with nothing to do until lunchtime, other than watch the skys and worry about the weather and tyre choice. Although after running those rear slicks on Sunday it was obvious that we would have to run wets if there was the slightest hint of a damp track and run the risk of burning them up if it dried up. As it happened it started to dry up and the sun came out as it approached the start of the race, so everyone bolted the slicks on and set off for the holding area. It felt both very strange and nice to be heading out in the pack to the start of a race, although a bit further back than I’m used to with the faster A+ cars joining us. The middle of a fairly big grid can be quite daunting as well because that’s usually where things kick off! I tend not to bother weaving about as I’ve never noticed it heat the tyres up much and just makes me travel sick so I concentrate on warming the brakes and a couple of rolling burn outs to get the rears warm. Tuscans can be a challenge to get off the line quickly, especially with the rover engines low down torque making it easy to light the rear tyres up and sit there as you set off. I managed a fairly good start taking a few places off the line, and held them through copse even being fairly cautious. Dave Chant though got an even better start and snuck past on the run to maggots. My game plan was then to stick with Dave and look for an opportunity or mistake to get past, this was proving a little more difficult as the back of the car was very loose and I had some very sideways moments through Copse and Luffield trying to hang onto the back of Dave. This was made even harder by a couple of Class A cars joining in our little battle. It’s always a quandary hot to treat the A cars, fight to keep them behind and maintain track position or let them through and hope they pass the class car your fighting with so they don’t get in the way. One car passed me under a yellow and then managed to slow me up a little allowing Dave to get ahead. I also let Jason Clegg in the Class A speed six Tuscan through thinking he was faster but we all ended running in a train of 4 for quite a few laps. Billy Then got past Dave, leaving just Jason between us, So I had to retake Jason to have a crack at Dave. Jason had a bit of a moment in Luffield so I had a run on him and took him on the inside into Copse and set off after Dave, I was gaining nicely but had left it too late and ran out of laps, with only .5 second between us on the line another couple of laps and it might have been different. Still a 2nd Place in class and just a few 1/10’s of a second off Dave’s fastest lap was not a bad start after a long lay off. Race two was again right at the end of the day, and I started again in 12th on the grid 2nd in class. This time however it was most definitely a wet race so no worries about tyre choice. Surprisingly I’ve not done more than 2 or 3 wet races in the 9 years I’ve had the car, and my used wet tyres are of similar vintage.. or in other words buggered..
As the lights went out I got a good start but was quickly hemmed in up against the pit wall, and everyone got back past. Through Copse we were 4 cars wide and on the exit the car to my left started coming across my nose, leaving me with the only option of turning into him so that he didn’t spin my round when we touched. A light tap and we both kept going in a straight line, and I got passed him with 2 wheels on the grass! There were spinners at maggots and I got passed a few more including Dave who wasn’t happy in the conditions and also had electrical issues. Down the straight the rear tyres kept spinning up as you hit water, and the first time into Brooklands was scary. As you came under the bridge the spray was just hanging in the air and you couldn’t see the corner. There were no references for braking and cars and brake lights just became visible as you hurtled in to the corner, with no idea what grip was going to be there. On the second Lap Darren Smith in the Class B Tuscan was flying and went past, his time and confidence in the car really showing, where as I was still finding my feet with the car especially in the wet conditions and taking things a little steady. Billy Thompson found out just how bad the straight can be when the car span on him putting him into the wall and out on the spot damaging 2 wheels and a wishbone. He’d just his a puddle and the rear wheels had started spinning sending the car sideways at over 120mph. I happened twice to be during the race but I managed to catch the car both times and keep it pointing in the right direction. I managed to Keep Darren in sight, but couldn’t make any ground on him, without pushing it any harder than I was and I didn’t really have the tyres under me to push any harder either. With spinners at almost every corner I just settled for keeping it on the circuit. This proved to be a cunning plan as a mistake and a spin from Darren saw me nip past into the lead and take the Class B win and a top 10 position a few laps later. With my lap times improving all the time as I started to get used to the car, I also managed the fastest lap and the all-important extra point meaning we leave Silverstone 1st in class and joint 3rd overall in the Championship. So in my case Silverstone was a story about oil pumps and tyres, but a good result for my first time in the car. I was pleased that in the dry my lap times were just about on the pace with plenty to come from the driver, and a fair bit more from the tyres if I can find the budget to put some decent rubber on! The next race is the 29th June at Oulton Park so it’s back to the garage to check things over and a couple of things I want to change including adding the rear spoiler and undertray we didn’t have time to fit to put back some rear downforce which will hopefully help with the wayward rear end a little. After taking much of 2012 off from our own racing to concentrate on taking a team to the Le Mans Classic 2013 sees us preparing for a full season in the Dunlop TVR Challenge with Graham and The Tuscan. 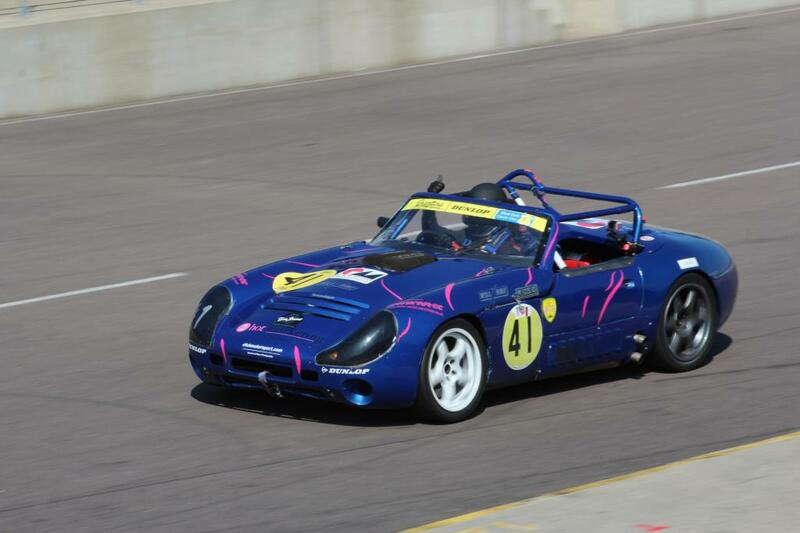 We did one shake down race in to 2012 at the end of the season as part of the TVR Birkett 6hr rely team, where other than a snapped drive belt for the alternator the car performed well in very cold conditions. So far in 2013 Rose & Krieger and Will-Hire are on board again as sponsors and the Warks & West Mids TVR CC region are also backing us. The car has spent the day on the rolling road fine tuning the mapping on the engine, kindly rebuilt by Midland Classic Restorations after a bearing failure caused engine damage in testing. The power puts us perfectly on the class limit for class B so we should hopefully be competitive. SRGTC Race and the Allcomers scratch race this coming weekend at Silverstone. Team Principle Graham Walden will be at the wheel. The meeting is organised by the Bentley Drivers Club and everything from pre war cars to modern Le Mans machinery will be in action. We will be in the Garage block between 7a and 9c please pop in and say hello. 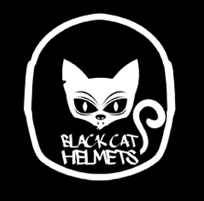 Black Cat Helmets ( no direct relationship) have joined Black Cat Racing as a Team Partner and will be supplying all the Teams Helmets and Hans devices in the future. If you need a Helmet for trackdays or racing (fia and Snell 2010 approved) or are considering a Hands device either the Pro Carbon version or the more affordable Sport Version, Please Contact Black Cat Helmets to discuss your requirents. If you could mention Black Cat Racing when you contact them that would be great. Almost 12 months since loosing a core plug and damaging the engine from the Lead at Mallory park in 2010, Black Cat Racing’s Graham Walden Returned to the track For the Tom Stewart Memorial Races. Whilst not racing Graham has spent plenty of time trackside, both Instructing a Batch of New racers in car and running the team from the pit wall. The Preparation for the race was a little hectic as Due to planning permission problems the race was brought forward a week. With a busy schedule of preparing cars already set out, time had to be found to prepare the car meaning many late nights. Castle Automotive performance provided us with a fresh engine on the sunday, this was quickly installed and tested on TTP Performances rolling load on the Thursday morning before heading off to Donington later that night, ariving at 3am after collecting various parts of the car on route! A Friday race is unusual but this was because we were on the test day of the World Touring Car race weekend. The remaining Parts of the tuscan were Bolted on in the paddock, with out Much of the Black Cat Racing crew available due to Holidays ( we tend to schedule Holidays around the race calendar!) Many of the other TVR Teams mucked in to Help Graham who was there on His own, With Jamie From Castle Automotive perfomance also coming over to look after the engine. With new tyres to scrub , a fresh engine and a driver who felt a little race rusty Qualifying was taken carefully easing the car and driver back into things, and learning the circuit. Hard to belive in 11 years of raing Graham had only been to Donington once before in 2005. Qualifying in the middle of the Class B runners Graham Had some work to do, but once the red lights went out it was business as usual with many cars dispatched in the first few laps, and assisted spin b Andy Race the class B leader would make things easier and we were quickly in 2nd place. A good fight With Kieth Vaugne-Williams, would eventually see a daring move set up 3 corners in advance and a move in to First in class, Andy Race also slipped past Keith.A hard push ( almost too hard at the old hirpin) would see a gap open up giving some breathing space to the flag. A win first time out in 12 months on a new engine was a great result. Race 2 would see us start at the Head of the Class B pack, at the end of a very long day. Into the first corner the car was very wayward resulting in a sideways moment, and the loss of a couple of places to class A and B cars. As the race went on the handling of the car got worse and worse, giving some very alarming noises through the craner curves at 120mph. As we wer not going for the championship this year Graham took the decision to park the car, a slightly disappointing finish but better to look after he car as we are not flighting for the championship this year due to other commitments. Overall however the Team were more than happy with the way the day had gone. The car was put together in double quick time and the new engine from Castle Automotive performace hade been faultless. We must also thank our major Sponsor Rose & Krieger without who we would not be racing. The problem with the car turned out to be a broken rose joint adjuster on the rear suspension. We’ve never heard of one of these breaking in 20 years of Tuscan racing so its a very unusual failure, but explains the handling issues with the car! Thats all been fixed along with some worn cv joints, so next time out should be even better.